If a picture is worth a thousand words then it would be difficult to over-estimate the value of this record-breaking mosaic made up of 112,896 individual images. 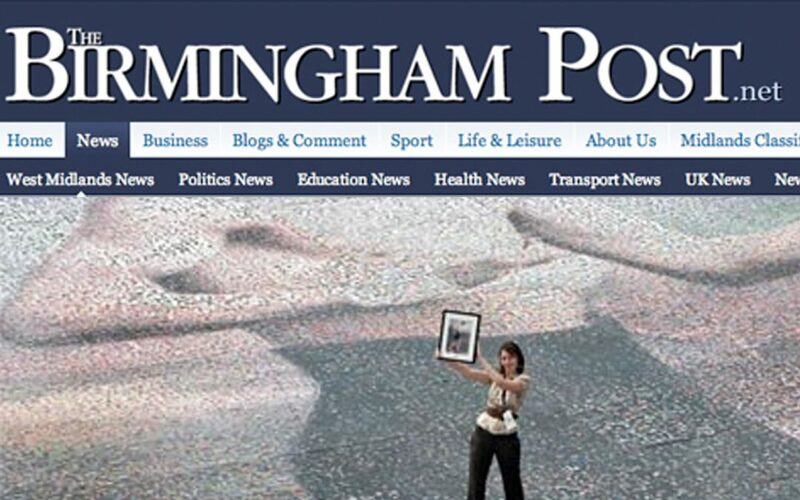 The massive work of art unveiled in Birmingham was created from personal photographs submitted by people from across the West Midlands. When viewed from afar, the pictures of people and places merge to form a giant image of Black Country amateur boxer Arthur James Bunce taken during the 1920s. The mosaic, which was on display outside the Thinktank museum of science at Millennium Point on Saturday, is the culmination of an arts project called The Big Picture. Measuring 30m x 30m square, the photographs of different shades and colour were carefully selected to recreate the 1926 photograph of Mr Bunce, from Tipton, in a training pose. Big Picture project manager Kerry Endsor said: “We are delighted to have secured the world record for the largest photo mosaic, on behalf of the thousands of people across the West Midlands who submitted their photos to be part of this record breaking campaign.